There's never been a food caravan quite like it - the owners of a fish and chip shop in Christchurch who offered free te reo Māori classes at their restaurant last year are taking their lessons on the road. Anton, Jessica and Māia Matthews will take their food caravan to nine towns and cities across the South Island, serving up tasty kai and free te reo lessons in April. The idea came to them last year, when crowds of more than 600 turned up at their restaurant Fush, hungry to learn te reo. "We realised people were really hungry for free te reo lessons and we sort of created a bit of a movement I suppose, a bit of a taniwha, a bit of a beast, and we're really excited about it," Mr Matthews said. "We have a wee food truck and we've booked out town halls and school halls in the hope that people will come along and learn a bit of te reo Māori, and hopefully buy some kai from us as well." They'll begin the tour in Greymouth and then to Westport. After that, they'll travel to Timaru and Ashburton. In May they'll head north to Nelson and Blenheim, and back down through the East coast to Kaikoura. They'll end their journey in the deep South, travelling to Dunedin and Queenstown. "You've got normal Joe Bloggs New Zealanders starting to realise that te reo Māori is part of our cultural identity as kiwis," he said. "I always give the example of the haka. We all get very proud when the All Blacks do the haka, but if we want to own the haka and be proud of the haka, then we need to own te reo Māori as well. "You can't just have the haka or tā moko and not take time to learn te reo Māori. The two go hand in hand. Culture and language. 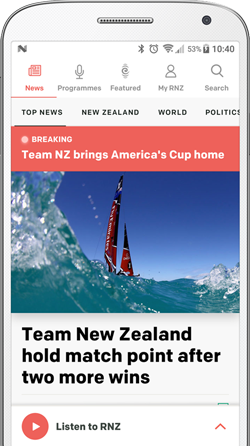 I think New Zealanders are starting to realise that." The people turning up to learn te reo Māori were diverse, he said. "Every location I go to there are young, there are old, there are sometimes babies and there are 90-year-olds. "They are Māori, they are Pākehā, they are tourists. The crowds are always a mix, it's like a fruit salad, and it's awesome to see." The lessons will cover correct pronunciation, and basic words and phrases people can use at home and in the workplace. "We'll teach practical language, words like 'homai' which means 'pass me'. It will be a very practical approach and we'll teach people words they can use immediately." 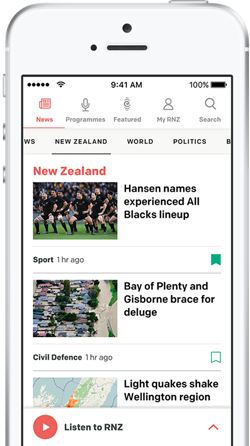 A new app is soon to be released to help people learn te reo Māori through playing sport. A new website is helping Māori around the world connect with their heritage. A small Ngāpuhi school is harnessing its history, environment and kaumatua to help keep its local reo alive. Learning te reo Māori isn't the main priority for many Māori in Northland because they're too busy trying to survive, a Ngā Puhi educator says.